This gigantically tall image was the only one sufficiently excessive to encompass the towering wall of sound pumped out by Bomba Estéreo. 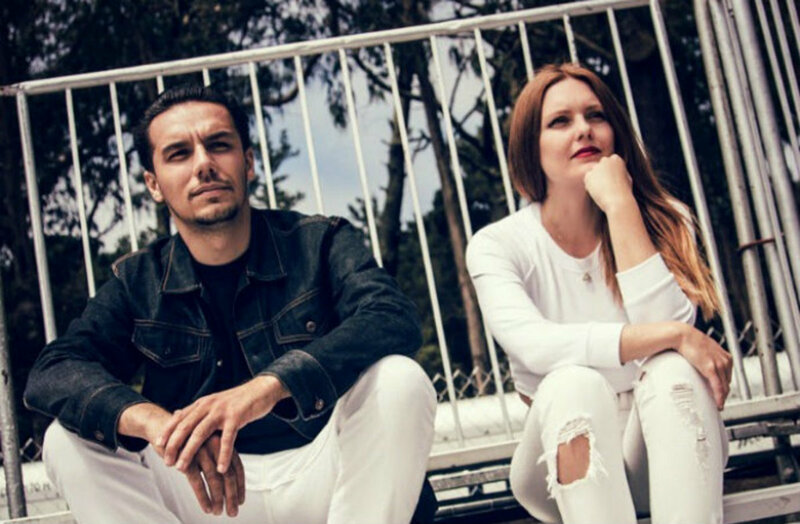 Their brand of club-banger cumbia is an all out assault: hot guitar licks, sick beats, razor-sharp vocals with a mix of traditional instruments and electro-magic that rises together into a whirling tornado of the absolute hottest fire. 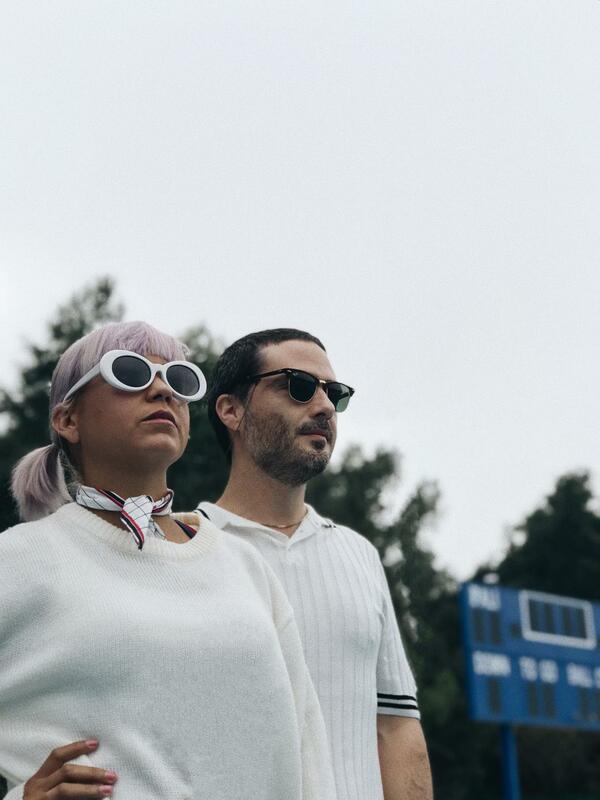 Bomba Estéreo is no newcomer to the musical scene. You may (I did not, my shame is great) recognize them from their smash hit Soy Yo from their previous album, or the music video of said track which racked up a bananas view count on its way to becoming a cultural touchstone, but their story goes much further back to 2005 and Simón Mejía's interest in electronica-influenced takes on classic cumbian styles. A single track on the earliest Bomba Estéreo album featured vocalist/rapper Li Saumet, but you'll find her infectuous energy on every track since and it is truly a wonderful thing. Her rapid-fire Spanglish flow is absolutely top-shelf showcased on Money Money Money, but her melodic coverage on semi-balad Siembra is superb and you throw in the feels-laden delivery on Duele and the conclusion that we're dealing with a standout talent is unavoidable. Though my forays into música reggaeton y cumbia y samba are small in the totality of hours I spend between two cans, stumbling into unreal albums like Ayo makes me think I should spend more time here. I'm certified addicted to this album right now. What if there's more of this out there? What if I'm missing it, you know? Yo presento los dos, como es mi manera. Escúchalos a todos, no te arrepentirás. In a shaker, combine Weezer and Charlotte Hatherly over a handful of cool as ice, shake gently. Rim a high-ball generously with Veruca Salt, pour the shaker contents through a strainer. Add two liberal splashes of Kay Hanley before garnishing with a Cherry Bomb. Serve thrown directly in the face. Charly Bliss is absolutely killing it. They've recaptured a kind of earnest, crunchy power pop/punk that I haven't had a craving for in years. In a post-Blue Album time-frame, there are certainly plenty of bands that aimed to do this, but you can count on one hand the few that even knocked on the door. Charly Bliss kicked it in. They live here now. 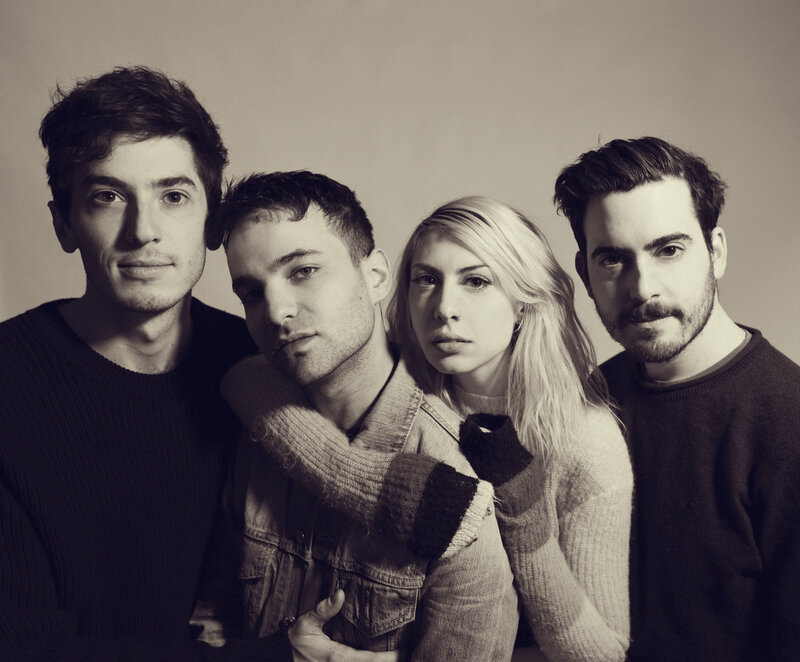 As proscribed by the rock gods and set down in the before-times, Charly Bliss is correctly a four-piece outfit: sibling duo Eva and Sam Hendricks on guitar and drums respectively, Spencer Fox on second guitar and Dan Shure on the bass. Eva pulls lead vocal duties combining an intrinsic hard-candy sugar with the sharp glint of a razor. Applied to her borderline-oversharing lyrics and the occasional scream/squeal for punctuation, the result is infectious in the very best way. As a musical entity, it's difficult to explain how they walk this tightrope hanging over a bottomless chasm of "merely nostalgia" without a single misstep, but you can hear it for yourself. Their sound isn't replicating something specific, they've absorbed a fundamental quality that makes it genuine. It feels contemporary to Weezer but it doesn't feel like they're playing Weezer songs. It feels adjacent to Letters to Cleo but they're not Cleo songs. Basically it's a miracle. This is a miracle album. Quality is bursting from every seam. A veritable cornucopia of brilliance. I'm out of words. The ones I used don't really feel entirely adequate. Black Hole is amazing. Ruby is amazing. Look, they're all amazing, I'm serious. Do the needful. I even added a Bandcamp link so you can give your sweet sweet dollars slightly more directly to the band. I can only do so much for you, it's your time now. I had a real photo problem with Now, Now. 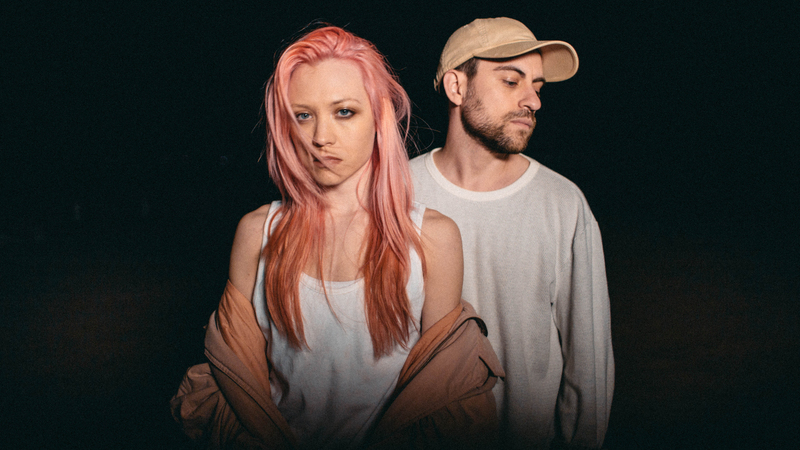 See, they used to be a three-piece with Jess Abbott (who I know from Tancred and not from this, what a world) but they're back down to the original duo of Cacie Dalager and Bradley Hale. Unfortunately, most of the band photos on the intertron are interminably ancient and as such depict the trio and therefore are not what I'm after. As an additional wrinkle Cacie Dalager is currently sporting some super rad pink hair, as seen above, and there's no way I wasn't gonna showcase that situation, so this is what I've got. It's the press photo you've probably already seen or will see everywhere you look for more news about Now, Now. I try, reader. I swear I try. As an aside, in the wake of our collective loss of Hayley Williams' venerable flame-job locks, it heartens me to see Cacie Dalager in good company with the likes of Lights picking up the vibrantly-colored torch and carrying it forward. Oh right, music. Not a hair color blog. Now, Now has been lying dormant for a while. Their 2012 outing, Threads, is not an album I was particularly taken with at the time (though listening to it now I find a lot more to like), but in the interim they've been hard at work. Ahead of a full album release, they've let slip this one single and if this one single is in any way indicative of what they've got in the wings, we're in for something great. SGL (a short-hand reference to the phrase "shotgun lover" you'll hear in the track, I'm hip, I'm down, how do you do fellow kids) is, more than anything, a track of driving rhythms. The no-nonsense elements stack up through the first verse into a building chorus that drops off like a hard down-shift for the second verse, in a theme you'll see repeated through the track of a staged mountain climb that barrels right off a cliff at the finish. I'm definitely not saying they invented the form, this is certainly a phenomenon you've encountered before, but this particular instance of it is powerfully tight. The relative sparseness of the early arrangement really drills the chugging guitar riff and drum'n'bass rhythm into you; by the time they're sprinkling in the light 'tronicas and reverb-y echo magicks, you're part of the machine. I don't know exactly what this machine does, but it sounds damn good doin' it. Cacie Dalager's smoky near-monotone melody works a treat; anything more vocally acrobatic would've upset the groove and anything less would've sounded like spoken word. They've really got something I'm digging here and I anxiously await the revelation of the fullness of this album. My breaths are appropriately bated. Now, as a general policy, I don't normally post random singles I find on the intertron. I like albums, and I could wait for the album quietly while you, dear reader, perhaps know nothing of this track, but that feels like a real waste. We're coming into the peak of summer music season and maybe you're making your road trip or family beach outing or vacation airplane playlists and I want you to have SGL in your bag o'tricks for that. I want that for you, reader, so I've done this thing. I will re-visit Now, Now when the time arrives and we'll find out if my enthusiasm today pays off, but right now? Right now I bring you this.